I’ll let you in on a little secret. I just finished writing an outline for this article that your reading. Let’s talk about how you can make the best outlines for your content. I’m very particular about my outlines, mostly because I run a content marketing business and have a team of writers that need to produce a very specific, high quality content. I’m so particular, that I actually don’t even let anybody else do the lines for me. Every single outline for my clients is done by me personally. This way I am sure that my clients get an excellent piece of content, because our expert team of writers follow this outline to a T, and everything that needs to be covered is taken care of. That’s how you want to create your content outlines, get it to the point where you’re comfortable that even as you never saw the written article, and you know the quality is high because you put so much detail into your outline. The first section in every article outline is the title. I like writing out the final title before my writer even begins. This is something we can always refer back to, and stay on topic. The section under that is a bulleted list for topics we want covered. I always add the words not extensive, and research because I want my writers to put in extra research. The best way is to find these topics to cover, is by referring back to the question that this article is answering. Brainstorm/breakdown every version of this question that you can think of. Make sure you cover all angles, and go above and beyond. The reason I try to answer every question is because Google wants to send the searcher to the best result possible. I know if I answer every version of the search question, Google will want to recommend me, because most likely the searcher will be able to find his solution to his problem within my result. For me, the topics we want covered section, represents the individual paragraphs and sections for the article. The next section is the answer these people also asked questions. It is also in a bulleted list, and these questions come from three places. The first place of these questions come from is when you Google the title of the article, you see on that first page people also ask questions. These are taken right from here and if Google is suggesting them, it means that Google sees these as semantic questions, so if you’re also answering these in your article, Google will most likely send the searcher to you because you’ve more helpful. If you use our outline tool, the questions also come from Yahoo answers, and Quora. One more time, these questions are important because in Google’s eyes you are fully explaining the subject and you are seen as a complete answer for the searcher. Our outline tool just takes the most relevant answers that Google shows for this title. These are important to have when giving your writers an outline. You want to make sure that your writers know what’s currently out there, so not only do they not copy, but they are able to answer a question more completely than a competitor. As a writer I can quickly see every topic I’m gonna cover, every question I’m gonna answer, and my competitors articles. All I have to do is a little bit more research on each topic in question and I can go ahead and write an article quickly that comes out very high quality. Our tool literally does all these steps for you. Once you enter the title of the article it will output the topics you want covered, answer these people also ask questions, and articles covering similar topics. If you copy and paste it right off of our site into Google doc, it will look exactly like mine does. Go ahead and test it out with a few different titles and play around with it yourself. We wanted to make it as easy as possible for business owners to have some control over the content they’re producing, without having to waste their valuable time creating the content themselves. Using the outline tool is a good middleman, because you know your writers will be writing exactly what they should be. This will keep the content on your site very high quality. We also have a complete suite of content marketing tools that are all completely free. We wanted to automate each step of the process for you. 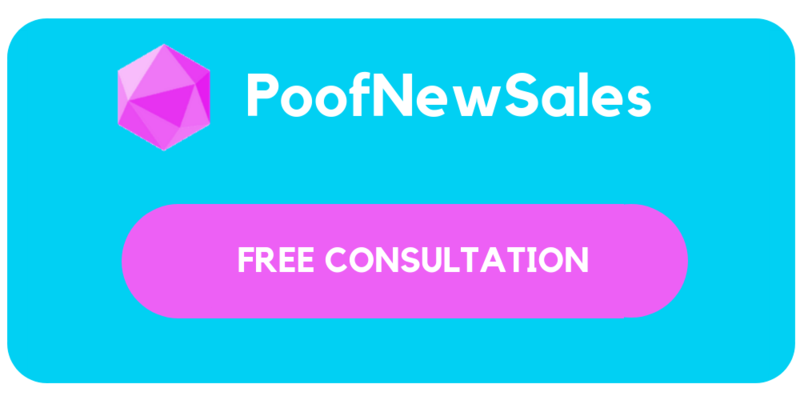 PoofNewQuestions: Find out all the questions being asked in your industry, so you can answer them as the industry expert. PoofNewContent: Create a content calendar with article topics your business needs to be writing about. PoofNewOutline: Input the Questions and Blog Topics that you just created on your content calendar, get them ready for a writer or for a content creation agency. PoofNewMetaTags: Once the articles finished, generate an optimized meta description for higher CTR and visibility in the SERPs. PoofNewMarketingIdeas: For if you ever feel stuck and just need some random marketing ideas thrown at you to implement in 2019. As always, we pride ourselves on being content strategy partners, and a top tier content creation agency. For proven results with no work required on your end, hit the contact us button below and take a quick questionnaire to see if we’re a match!